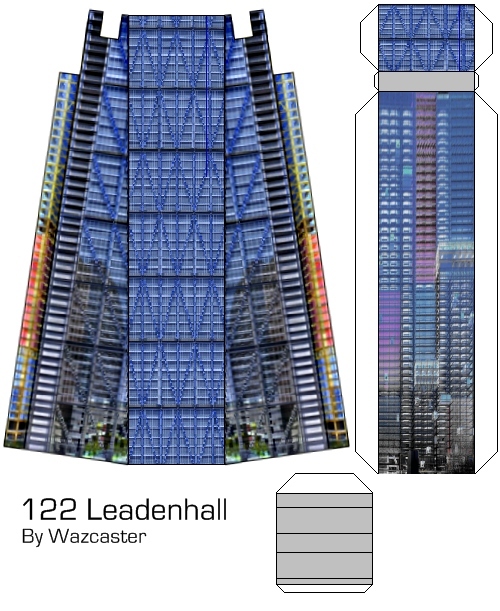 Designed by that master of pointless crossbracing, ugly exterior pipework and crap floorplates Richard Rogers, 122 Leadenhall will be one of the tallest buildings in the City of London (note that the banner used on this site is London's Canary Wharf financial district, completely different to The City). The slant in the building not only gets it out of the way of St Paul's Cathedral's sightlines, but makes the building have (for its height) a really crap floor area, which really doesnt make sence when The City really needs buildings with large open floorplates. Click to download the full size image.